West Bromwich Albion FC have established a ground-breaking youth football club just a stone’s throw from The Hawthorns in the Birmingham ward of Soho. 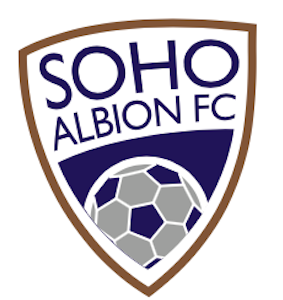 ‘Soho Albion’ is the first football setup for youngsters in the Soho ward and the only free-of-charge junior outfit to be organised and supported by a Premier League club’s Academy Recruitment department. It is the brainchild of Albion’s Head of Academy Recruitment Steve Hopcroft – himself a childhood resident of Soho – who has worked with volunteer coaches and West Midlands Police to get the project off the ground. More than 50 boys have signed up for Soho Albion’s four age groups, from under-7s through to under-10s, after more than 1,000 children were trialled. Soho Ward extends from The Hawthorns along the A41 (Soho Road) to Hockley and encompasses parts of Winson Green, Smethwick, Bearwood and Ladywood. “We have a long-term strategy which focusses on recruiting boys from the local area,” said Hopcroft. “We looked at the Soho area and thought about what we could do to get boys playing organised football. “This project will mean all aspects of playing football will be completely free of charge for the boys’ parents, meaning a real investment in youngsters in the areas immediately surrounding the club’s Stadium. “With our assistance the volunteers have made a fantastic start and it looks set to be a sustainable club which will offer football for free. Soho Albion Director, Ashley Barker, added: “I lived and worked in Bangkok for 12 years and saw there how football could bring people together. “I moved to Winson Green and realised there was no football club here, we met Steve [Hopcroft] and we connected really quickly.